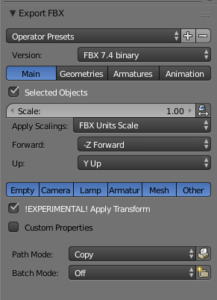 Exporting from Blender to Unity is a recurring question I meet all the time in various forums and Facebook groups related to modeling and Unity. I would like to share with you my exporting workflow, which I use almost daily when I create 3D models for Unity projects. I will show the steps to export simple textured models, then move on to more complex cases with sub-meshes and PBR materials. Object rotation is different: While Blender uses Y for depth, Z to height and X to width, Unity uses Z for depth and Y for height. 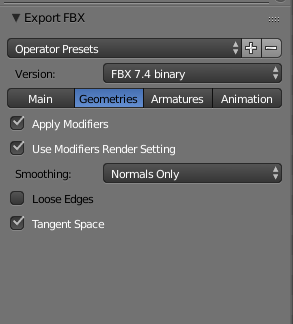 This means all models exported from Blender with default settings will be rotated around the X axis by 90°. 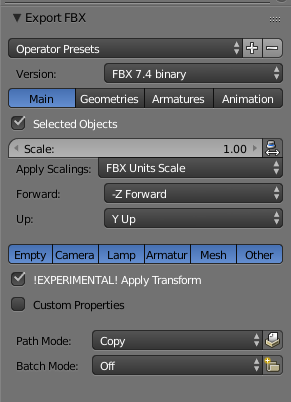 Object Scale is different: Although Blender and Unity both use meters as base units, the FBX exporter measures units in centimeters by default. As a result, your model will be 100 times smaller in Unity than you intended if you use the default settings for the export. Child object rotation problem: If you use more than two levels of submesh, you possibly encounter the problem with the rotation of the child objects. 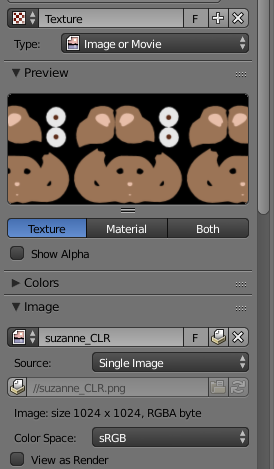 Textures are not included in the FBX file. The selected object is incorrectly scaled and rotated when dragged to the Scene. Step 1 – Center the mesh: set the 3D Cursor to the origin (Shift+S, Cursor to Origin), then select the mesh, press Shift+S and choose Selection to Cursor. Step 2 – Check the Rotation and the Scale: make sure all your models have their rotation set to zero and scale set to 1. If not, apply the desired rotation and scale by pressing Ctrl+A, and selecting Rotation and Scale from the menu. Step 3 – Set parents correctly: If you have an object with multiple sub-meshes, set them as a child of the main object by selecting first the child, then the parent and press Ctrl+P, then choose Object from the menu. Avoid multiple levels of sub-meshes. A great example of this is a desk with drawers as child submeshes. If you have a separate submesh for the handle, that should be the sibling of the drawer instead. 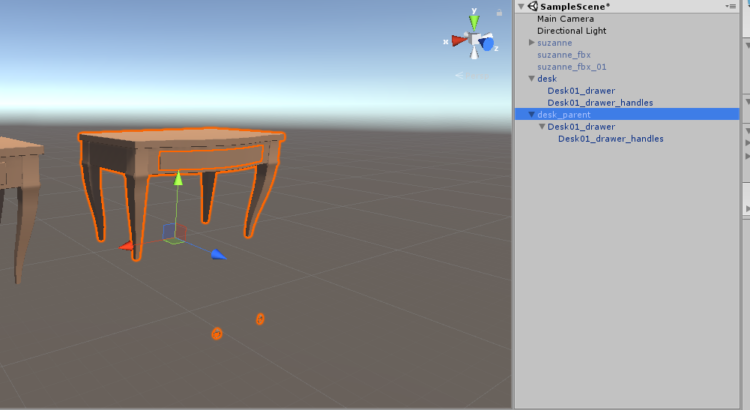 You can fix the hierarchy later in Unity. 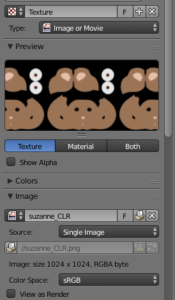 Step 4 – Embed Textures: On the object’s Texture tab, under Image setting, choose your texture. Then click on the yellow box under the source field. This will pack the image file into the blend file. 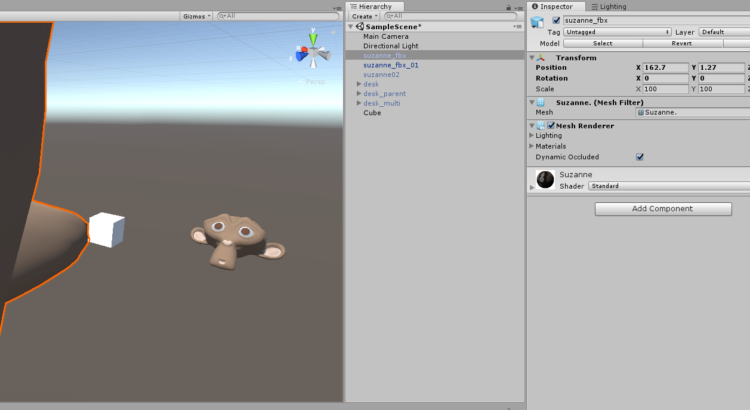 Step 6 – Import to Unity. Check the official documentation for the Unity FBX importer. If you have a larger amount of models, don’t panic! You don’t have to export them one-by-one. 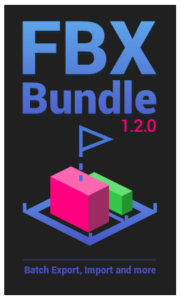 I would like to mention one of my favorite Blender add-ons, FBXBundle. This add-on was published in winter 2018, developed by Hendrik-Jan Schoenmaker. 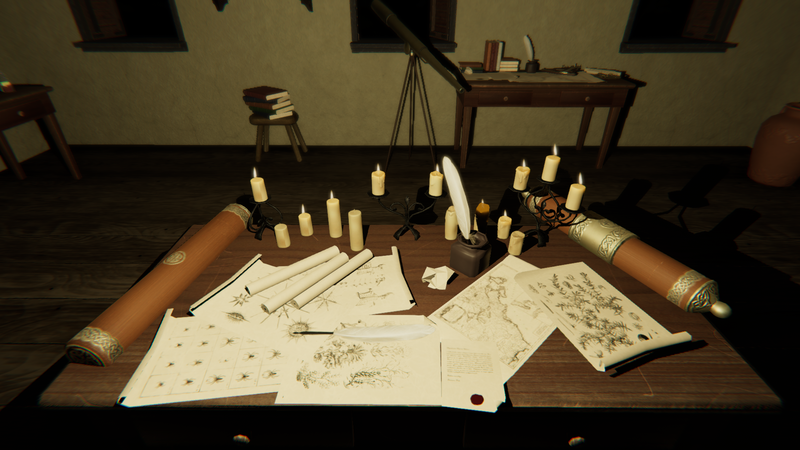 It has a wonderfully simple and intuitive interface, detailed instructions and Unity support. (Currently available for version 2.79). We post weekly new content, subscribe to our newsletter and stay updated! Dotti is co-founder and 3D Artist in Runemark Studio since 2015. She specializes in environment and props modeling and texturing in various styles.